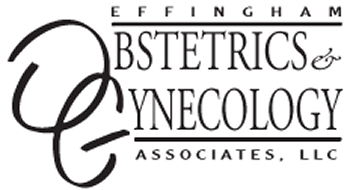 Protect your health with diagnostic ultrasound services from Effingham Obstetrics & Gynecology in Illinois. Our practice is accredited by the American Institute of Ultrasound in Medicine. All of our patients receive the highest quality of care through extensive and thorough exams using state-of-the-art equipment. Ultrasound procedures are also available to meet a variety of other women's health needs. Always striving to ensure the best possible patient care by nurturing a close working relationship with our patients, we offer a variety of comprehensive diagnostic and treatment services. Our staff includes Denise Koontz RDMS, Tori Habing RT(R), RDMS, RVT, RDCS and Melissa Wirth RDMS. This procedure begins with a transvaginal ultrasound exam that allows our medical staff to evaluate your pelvic organs. A small catheter will then be inserted into the uterus through the cervix, and a small amount of saline solution (salt water) will be injected through the catheter. The saline solution fills the uterine cavity, enabling the visualization and detection of any abnormalities. We have recently updated both of our ultrasound units to GE™ Voluson E8 ultrasound machines, equipped with an independent monitor for your viewing comfort. 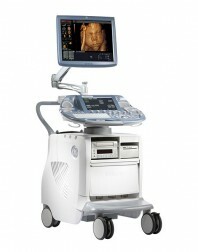 This is the top-of-the-line model that GE offers in women's health care.